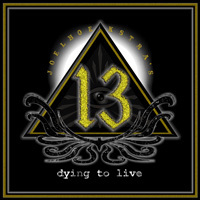 Current Whitesnake guitarist Joel Hoekstra breaks out from his night job to offer a solo project, Joel Hoekstra's 13 and a new album, Dying To Live. Besides his association with that iconic Eighties hair band, Hoekstra has done time with Night Ranger, Trans Siberian Orchestra and the show Rock of Ages. His travels have allowed him to hook up with hard rock and heavy metal veterans for this venture including Jeff Scott Soto, Russell Allen, Vinny Appice, Tony Franklin, and Derek Sherinian, to name a few. Now I know what you're thinking. Geez. Don't tell me this album is going to sound like another Whitesnake album. Now, that's not to say that Hoekstra's guitar style doesn't have some timbre of the blues. He does. How else could he play for David Coverdale? And, if you noticed, Jeff Scott Soto is a vocalist, another music veteran with more than a little blues (and soul) under his belt. Yet, Dying To Live and Hoekstra's approach could be best considered to be classic melodic hard rock with a metal edge. 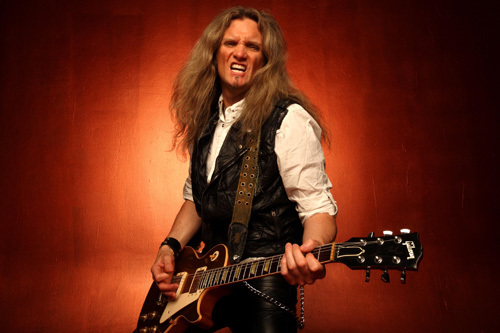 Of course, while definitely song-centered, Hoekstra's riffs and licks hold sway, easily at the forefront. Moreover, he handled all the song writing, both lyrics and arrangements, and production. If there's a summary here, a bottom line, it's that Dying To Live is a straight up guitar driven hard rock album. And there's some heavy material here. Never Say Never, Say Goodbye To The Sun, Anymore, and Scream, by example, bring that heavy metal edge to the rock groove and brisk pace. As an aside, for that last song, Soto sounds really great, better in this context than his latest solo album (which I totally passed on). Alternatively, there are some songs that are dialed back a tad, even venturing into AOR territory. Until I Left You is quite the groove monster with a sweet catchy refrain. Also, Changes finds its spirit and groove in the combination of the vocal arrangement and pulsing rhythm section. While Hoekstra definitely adds some fire in his solo, the song is probably the least "guitar-driven" song here. Then there's the closing number What We Believe; call it somewhat of an anthem, if you will. The longest tune here it also allows for a larger vocal arrangement workout from Soto (pretty sure) at his soulful best, yet over Hoekstra's masterful combination of acoustic and electric guitar. All in all, Dying To Live is rather impressive guitar-driven melodic hard rock, a showcase for Hoekstra's significant talent for songwriting and guitar playing. Easily recommended. the prior written permission of the publisher.